As of yesterday, I have started taking pre-orders for con sketches for Wizard World Chicago. Get on the sketch list early and skip those pesky early morning con lines, kids! In lieu of Wednesday Comics, it'd be interesting to see you tackle Catwoman and the Demon. 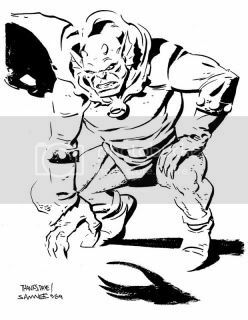 Etrigan's one of my favorites, and you've managed to capture all of his supernatural gravitas. 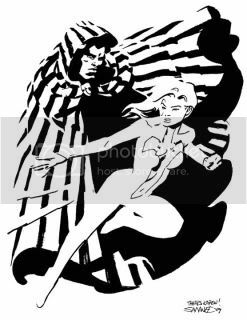 Great Cloak and Dagger piece also. They are both perfect! Thanks again, we love them. Pat: Thanks, but Stelfreeze is doing such a wonderful job I don't think I could measure up. I'd love to be attached to Wednesday Comics in any capacity though. What a wonderful package.